Recently, I read a comment from a web design company on the MOZ blog where they confidently stated that SEO was really, finally, dead. Well, we do have a whole website dedicated to the death of SEO. Since 2011, this site has successfully proven the true death of SEO by dominating the landscape of search engine rankings and serving us an easy to understand step by step explanation of why SEO is truly dead. Should we change the name? Maybe content marketing, user experience, or inbound marketing would fit. Do we need to throw SEO out, or just acknowledge that SEO is evolving? The fact is, SEO has gone through a lot of changes over the last 30 years. It’s not dead, but simply improving – and I want to help you stay on top of the latest trends so you can adjust your SEO tactics to better compete in your market. The Internet of Things provides us an automated world with smartwatches, cars, industrial machines, lights, and even more “things” that are synced into the internet. With the plethora of connected devices that we have today it seems that eventually these automated systems will just take care of their own SEO and manual processes will not be needed anymore. But, this is very far from the truth. Machine 2 Machine (M2M) communication is now going to provide even more guidelines for SEO’s that will have to be adhered to for connected IoT devices. Remember, machines cannot scan a page like a person to discover the most optimal results, but instead have to search for clues based upon the content’s surrounding elements to determine what the reader and writer intend to get from the text. Here are 4 predicted trends by Forbes in 2018 that will help you understand what the next big wave is for the IoT. The key is to not think that machines will be replacing the internet, but that, instead, the internet will continue to grow to be that much better with the expansion of the IoT. The scope in which the IoT is expanding is truly immense. In 1992, we had about one million machines connected to the internet – which is small, considering we had about 5 billion people living on earth. 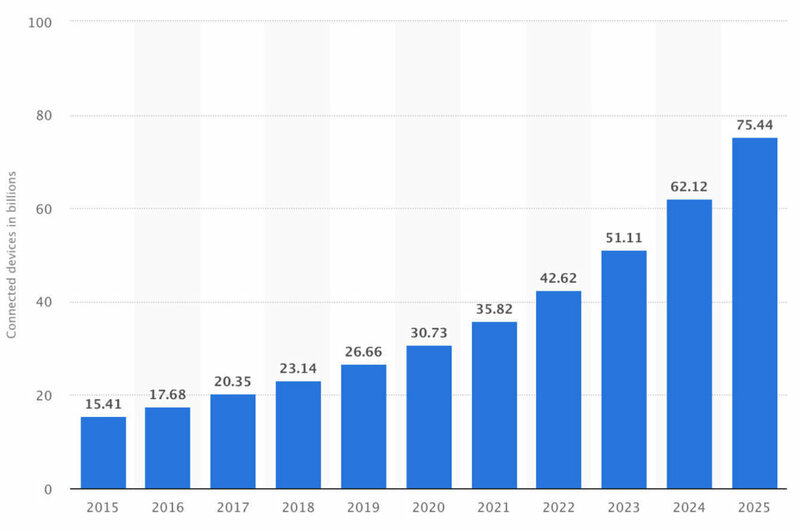 If you fast forward to today, we see about 23.14 billion devices connected, and that number is expected to exceed 75 billion by 2025. The need for people to search on their devices is not changing. However, the amount of devices people will be searching on will continue to dramatically change. People will be using cars, watches, phones, tablets, and more to search the internet, which means search engine traffic is going to increase and create even more demand/competition for SEO’s across the world. Organic traffic is not dead. Local search optimization will become even more important. Local search will split into two arenas: residential and mobile. Psychographic data will grow in value as residential marketing increases. Content marketing will dominate residential SEO efforts. E-commerce SEO will continue to focus on mobile and desktop search. Bonus: If you’re looking to grow your SEO skills, make sure to download my SEO’s Cheat Sheet for Perfectly Optimized Pages. Search engines will not be searched less but instead will be searched differently. For instance, in voice search people can easily use more words, providing more opportunity for long-tail keyword searches. Content developers who already write in a conversational tone will tend to be the preferred search engine result. One of the important facets of voice search is how many results will be displayed. SEO’s have to consider that search assistants like Google Now, Cortana and Siri will serve up a single result and not multiple results, which will make SEO more competitive. 75% of users already don’t scroll past the first page of search results, which means that businesses who want to compete in the IoT space will need to adjust their marketing strategies to win. The key players are Apple, Google, and Microsoft/Bing, who are providing the best possible search results to encourage users to use their voice devices. Make sure your SEO is streamlined to rank better on these tech platforms first. 30% of link clicks are non-organic – that means 70% of link clicks from the search go to organic listings. Inbound provides a 61% decrease in lead cost compared to outbound. 81% of businesses consider their blogs to be an important asset to their overall business. 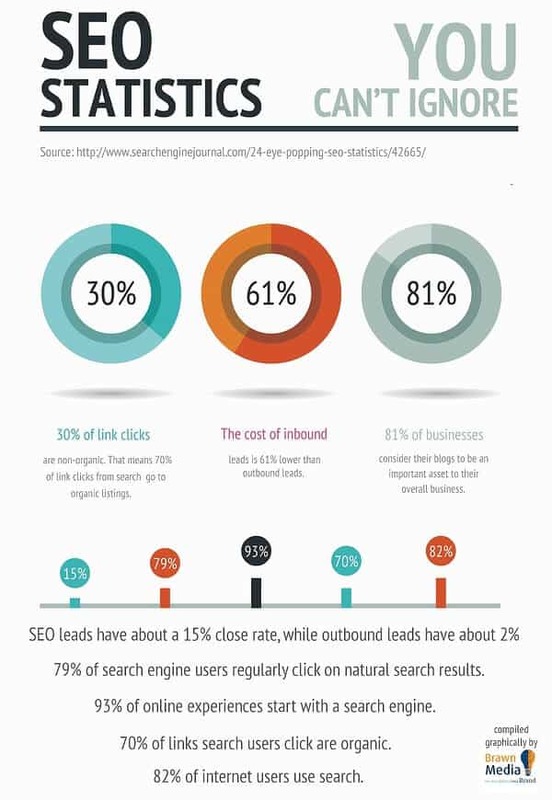 SEO leads have about a 15% close rate while outbound leads only have 2%. 79% of search engine users click on the natural results in search engines. 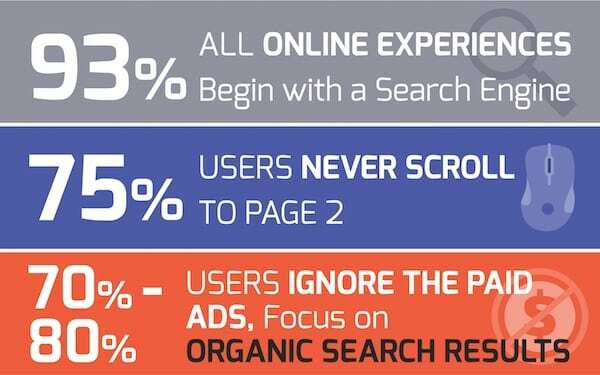 93% of online experience starts with the search engines. 82% of internet users use search. SEO will continue to be imperative to search because people’s use of the internet will continue to grow. 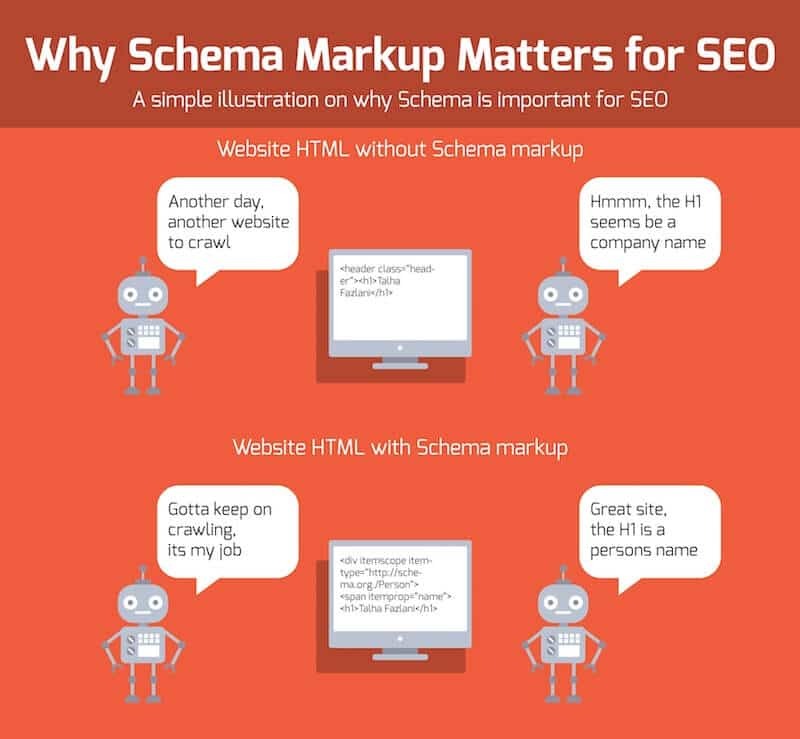 The use of schema markup is now more important than ever to help search engines understand the context of what they are crawling. Schema gives powerful visual content to searchers using specialized code that can help you take things like, videos, images, lyrics, and recipes and present them to both search engines and users in a way that makes more sense. Not only will schema better help search engines understand what they should be ranking your content for, but schema markup will help users find what they are looking for quickly, making you stick out from the competition by increasing your click-through rates and potential leads. Mix proper schema with your sitemaps and you’ve got a fantastic recipe for ranking success when seeking to rank for machines. Another important technology that Google has recently implemented is the AMP-optimized pages. These are mobile-optimized, barebones pages that help searchers load pages faster on their mobile devices. If you’re using WordPress take a look at this AMP WordPress plugin to make automatic AMP mobile versions of your web pages. These results will appear above the normal search engine results in the carousel when searching from a mobile device. “SEO, by its very nature, will always be alive as long as people continue to search. So probably… forever? On one hand, the question persists because Google’s increasingly black box algorithm makes traditional levers of SEO less effective. But this is also how life works. You don’t take 4th-grade tests in the 5th grade. On the other hand, there are several trends which make SEO more essential than ever. Technical SEO continues to evolve in complexity and importance. Search remains the biggest source of website referrals across all business categories. Content creating and amplification remain cornerstones of marketing, and the techniques+data to make these efforts more effective rely on solid SEO foundations. Multiple devices and increased screen time are presenting SEO opportunities on multiple fronts. Automation is making SEO easier while presenting new challenges for business that require people with smart SEO perspectives. 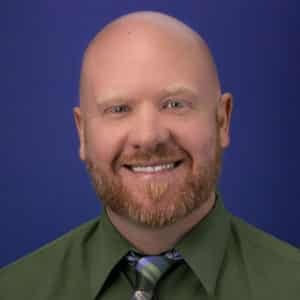 Will SEO die in 2018? I am seeing SEO evolving rather than dying. From voice searches to rich snippets, we are seeing an array of elements which need exploring and attention. Businesses and agencies that pay attention to the ever-changing search marketing landscape will do well. 3. Less local search traffic – people looking for local services will click through more schema markup results vs. website results. 4. The B2B marketing space will see more inbound content strategies and fewer PPC strategies as buyers consume more educational content than ever. Online marketers will have to collaborate better for their content to be heard as many industries have established niche thought leaders who can post content and earn immediate rankings as the search engine algorithm favors them, making it harder for the beginning thought leader to compete. 6. Content analytics success metrics and the buyers journey will become more important than ever as blogs seek to optimize key pieces of content while creating less blog posts. 7. Video marketing and video sitemaps will become a staple tool for SEO as internet marketers see their consumers watching more video content than ever before. 8. Web developers and SEO’s will focus more on creating mobile-first websites, especially for the local service company niche. While links continue to be a strong factor for rankings, UX will grow in it’s importance as a relevancy element that Google leans on for quality rankings. 10. SEO’s will have to focus more on creating cohesive digital marketing strategies and less on merely ranking keywords. Twenty years ago, people never considered that the landscape of communication would be revolutionized through the use of smartphone technology. Now, smartphones are just a part of the overall machines used for communication. Wireless earphones, Fitbits, Wi-Fi hotspots in cars, and self-driving automobiles are just the beginning of the new age we live in. These advances in technology don’t prove the death of SEO, but signal a new beginning. SEO will forever continue to become more competitive as IoT devices continue to grow. Make the best content you have available in the quickest possible manner.